EFFECTIVE: One of the Most Effective Rug Pads You Will Ever Own!! Top brand offers a non-adhesive, lightweight, and low-profile rug pad for hard floors. Also works great for slipping futon and couch cushions and mattresses. 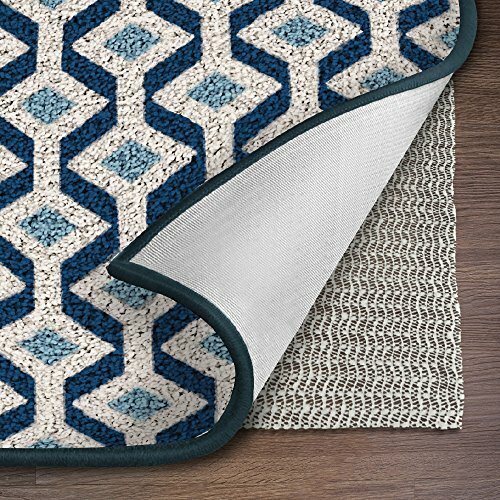 CUSTOMIZABLE SIZES: This rug pad can be trimmed to match rug sizes. 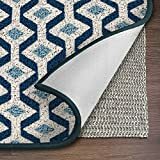 Choose the pad that most closely matches the size of your rug and trim pad with scissors to be slightly smaller than the rug for a custom fit. This pad is also a great solution for lining drawers and cabinets. One pad can be cut to add durable and protective liners to all your kitchen or bathroom drawers.